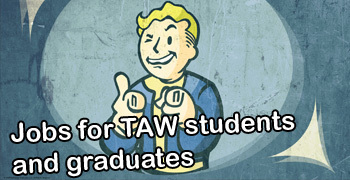 TAW-Games: This week in jobs! Here's a short list of game companies in Denmark looking for people from The Animation Workshop. Since this is the first post, there's a lot of positions. List of jobs, after the break!